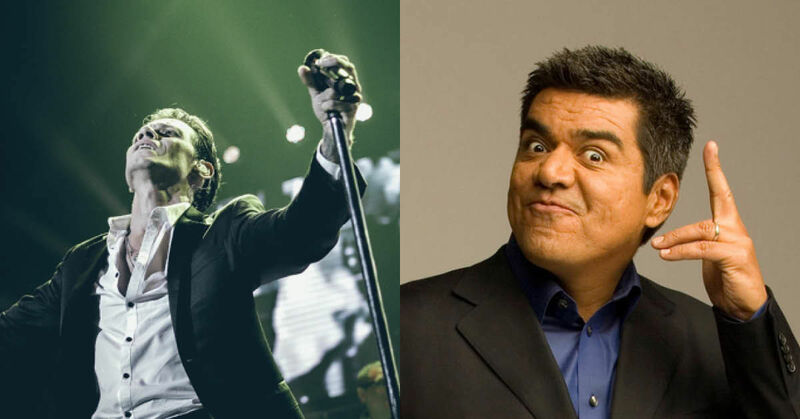 EDINBURG — Singer Marc Anthony and comedian George Lopez will return to the Rio Grande Valley this fall as the new Bert Ogden Arena kicks off its inaugural season. The presale for Anthony’s Legacy Tour, which rolls into town Nov. 10 at the arena, begins July 26 with the general sale kicking off the following day. Tour dates were announced Monday, which included cities across the United States and in Puerto Rico. Lopez will perform at the arena Oct. 27. Tickets go on sale Friday. The comedian — better known for his standup specials, eponymous sitcom and late-night television talk show, Lopez Tonight — was in the news recently for mimicking urination on President Donald Trump’s Hollywood Walk of Fame star. He has made his opposition to Trump’s hard-line immigration policies no secret in the past. The Edinburg venue will also serve as the RGV Vipers home with an initial lineup, including J Balvin, WWE Live, Alejandro Fernández y Los Tigres del Norte and Romeo Santos all scheduled this fall. Luis Miguel’s Aug. 31 performance appears to be the first attraction at the arena despite previous indications of a preceding act. These acts have put on shows at Hidalgo’s State Farm Arena in the past, including Anthony and Lopez, who performed there three and eight times, respectively. Arena CEO Marc Solis said the Valley is one of the nation’s top performing Latin markets. Having a larger venue gives them the potential to attract bigger acts with matching productions, he said, adding audiences should expect acts the Valley hasn’t otherwise drawn. Marketing materials have boasted the 9,000-seat arena in Edinburg, built along Expressway 281 at Alberta Road, as a regional “game changer” for entertainment. In a recently Monitor story, Solis pointed to new jobs and stimulating the local economy as a selling point. “The Bert Ogden Arena will change the way we experience sports and entertainment,” Solis said in an email. He pointed to wider seating space, local food options, a three-face HD scoreboard and ribbon board spanning the entirety of the arena bowl as assets to the facility. 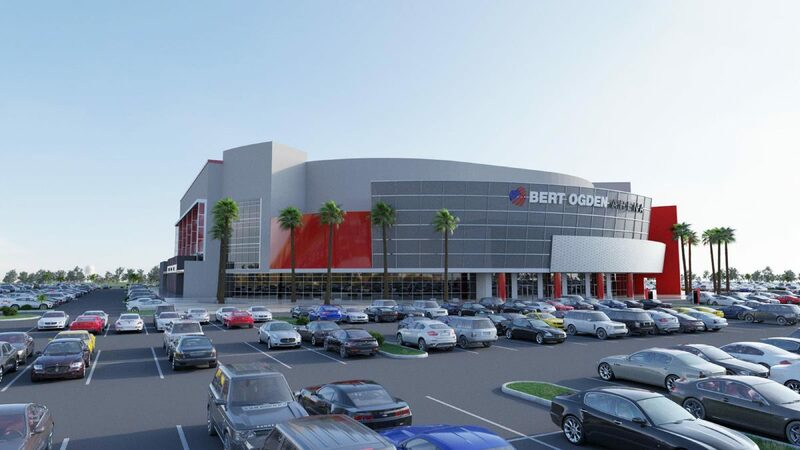 “I don’t think anyone understands the real impact of what this arena is going to bring to the economy of the Rio Grande Valley,” said Robert Vackar, who owns Bert Ogden Auto Group with his wife Janet, in a previous interview. “Not only to the economy of the Rio Grande Valley, but the entertainment and quality of life.